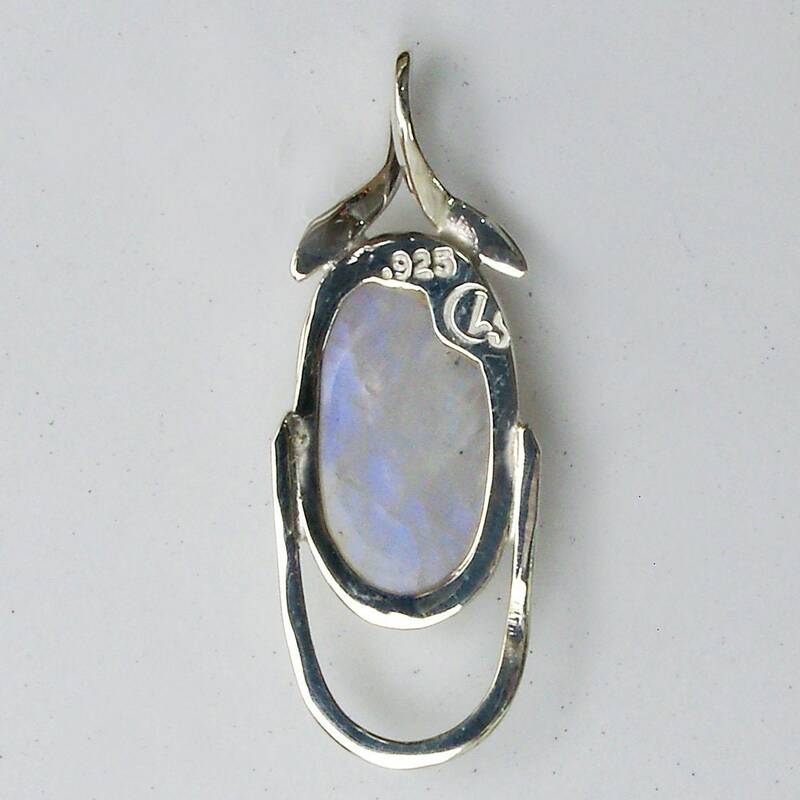 Moonstone and Sterling Silver Pendant, 43.17 x 16mm. 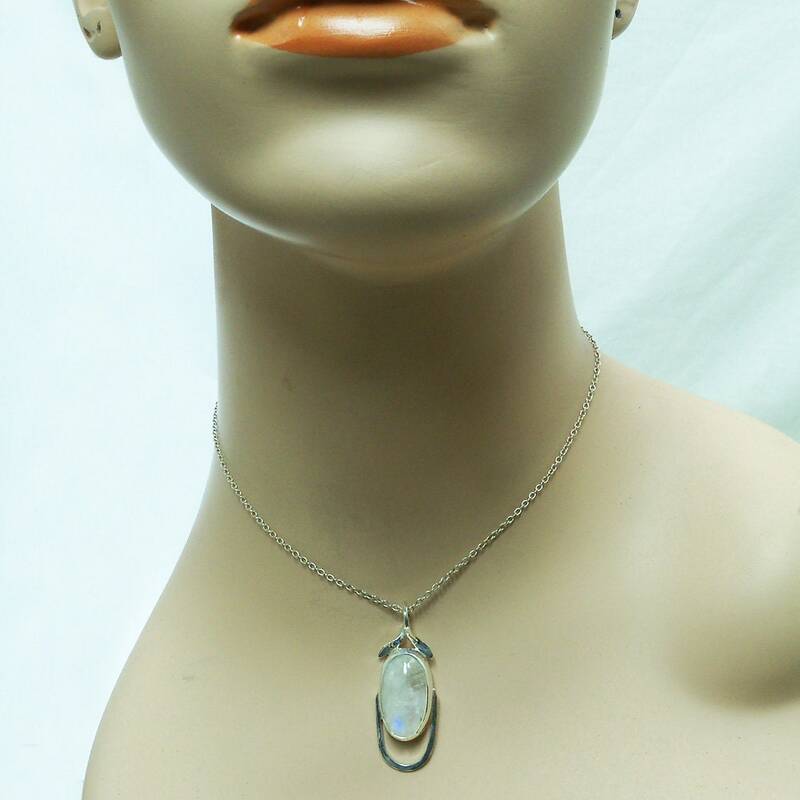 This is a one of a kind (ooak) art piece. 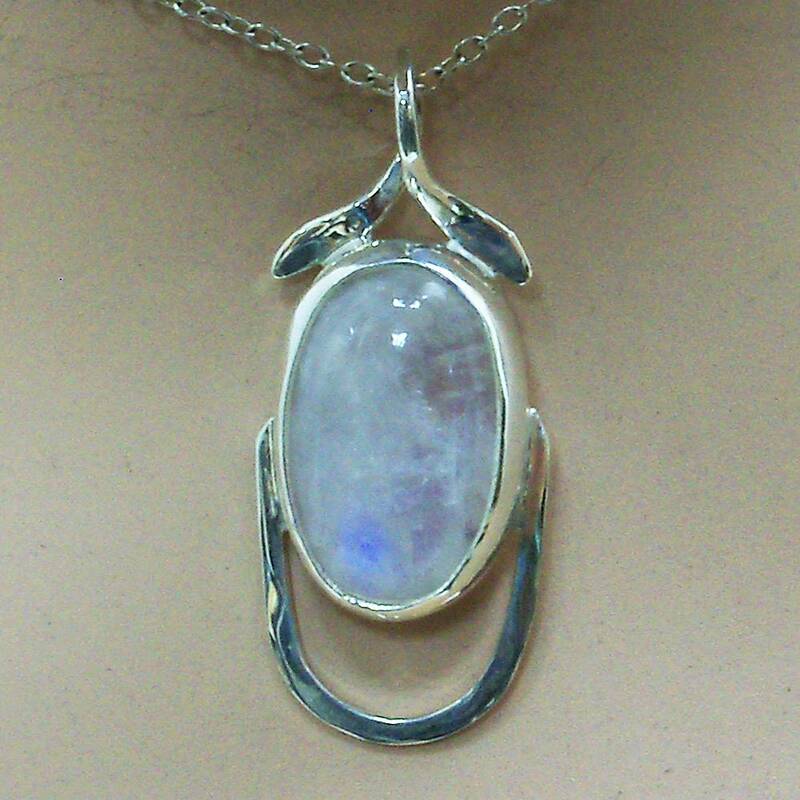 I personally selected this beautiful gemstone which nice flashes of blue, then hand forged the metalwork to take advantage of the beauty of the stone. 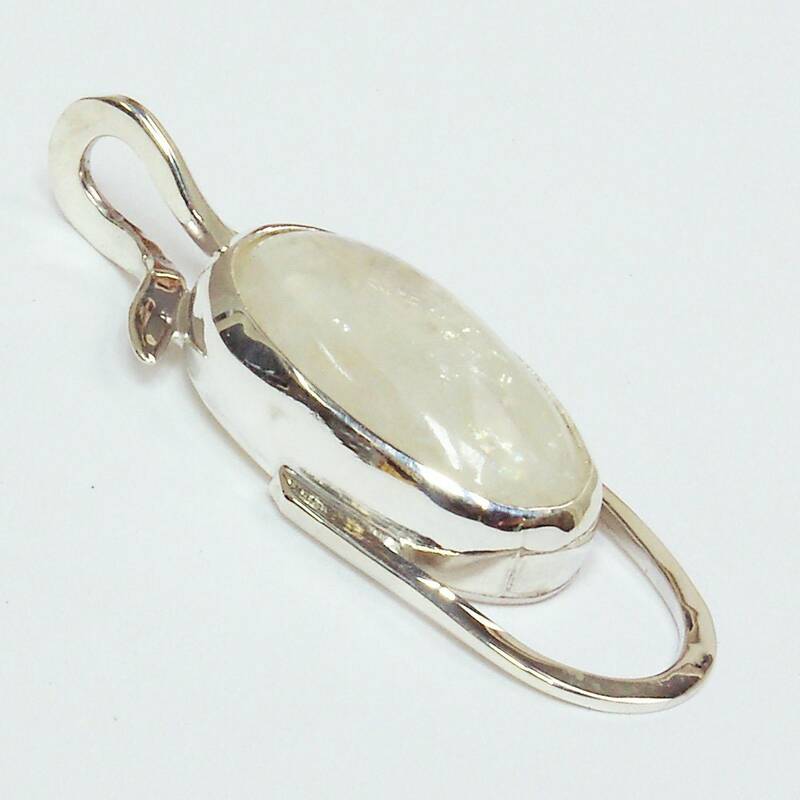 The metaphysical meaning of moonstone is in its energy - a very nourishing, sensual, deeply feminine energy that knows how to heal and bring one back to wholeness. 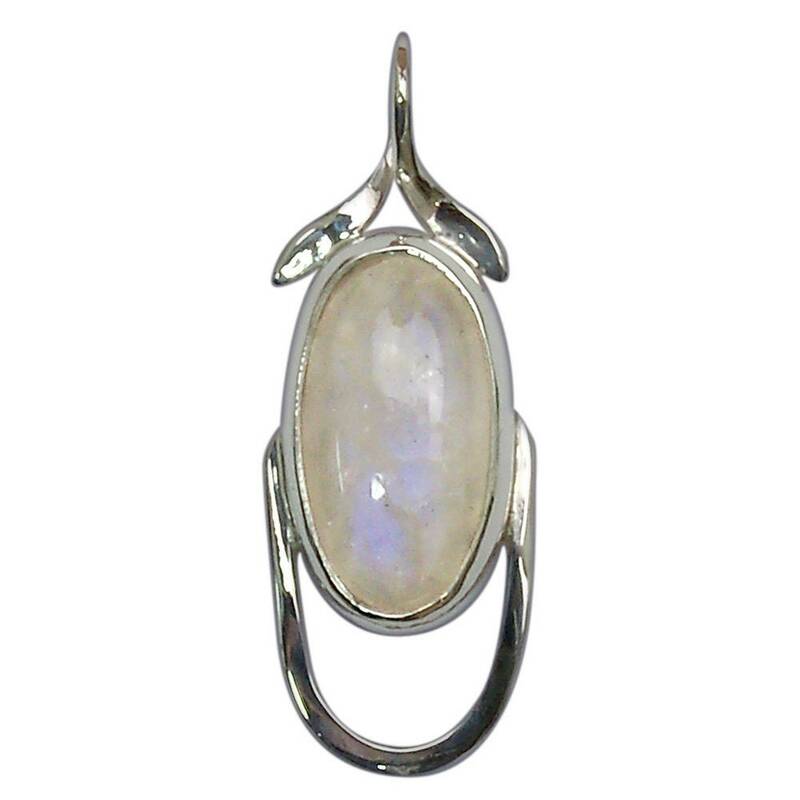 It is the stone of the mother moon, deep healing waters, and sacred feminine energies.